Meet Dr Strong Teeth, the lovable and fun-loving elephant with the awesome smile and strong white sparkling tusks. He is here to guide to oral healthcare empowerment through interactive education. ‘Dr. 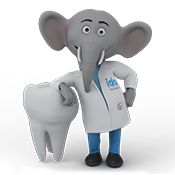 Strong teeth’ Indian Dental Association (IDA)’s elephant mascot, recognises that childhood is a person's most formative years. 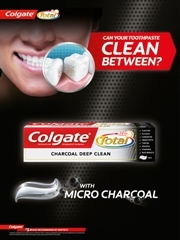 Teaching preventive oral healthcare kick-starts healthy living habits from young for a lifetime. The association educates about preventive care, as we believe that it is entirely possible for a child to reach adulthood without the incidence of early childhood caries. Through interactive activities and presentations, Dr Strong Teeth demonstrates proper oral care via right brushing technique. 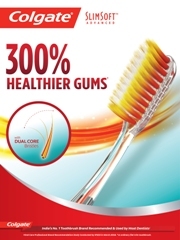 Importance is given to brushing twice a day, having right nutrition and eating patterns to eliminate tooth decay. 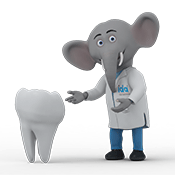 The mascot also instils the importance of regular dental visits and checkups. 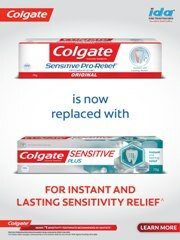 He appeals to all his little friends to have a Healthy smile and Happy Smile! Improving children’s oral healthcare is a top priority for IDA because children’s oral health significantly impacts their overall health. The association reaches children with free dental screenings and preventive education about oral health, via its National School Oral Health Programme to make a difference in their lives.